At Cycledrag.com we are always striving to connect our great readers with the best companies, people and products. Recently while looking for decals, since so many of you have been asking, we found an amazing graphic company who understands the exact needs of the dragbike racing community and the eye-catching designs it craves. 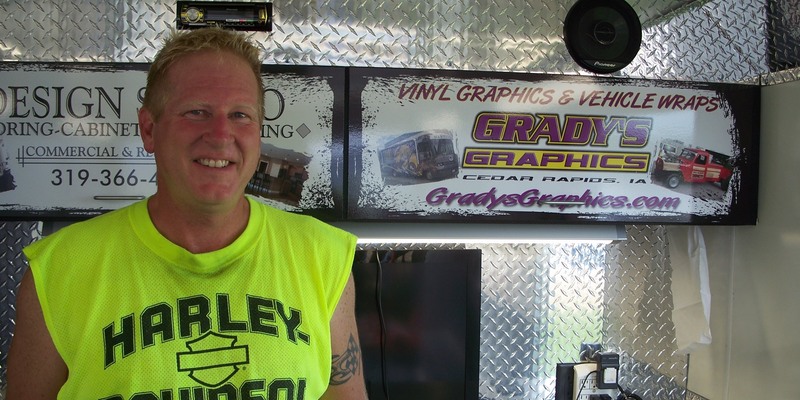 Grady’s Graphics is a successful Cedar Rapids, Iowa-based business owned and operated by motorcycle drag racer Scott Grady, 52. The versatile company offers many different quality services. 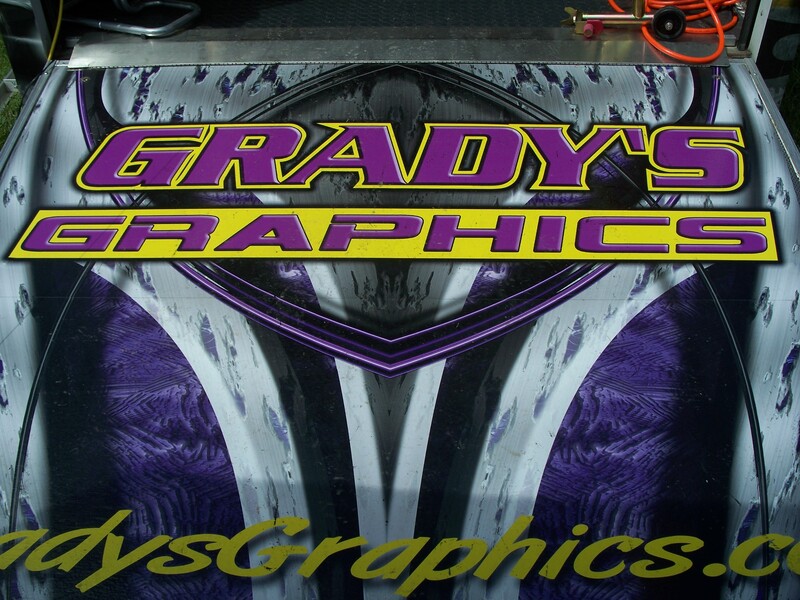 Scott Grady of Grady’s Graphics can make any trailer look a lot more appealing. And it gets better, Grady’s Graphics prices are unbeatable. 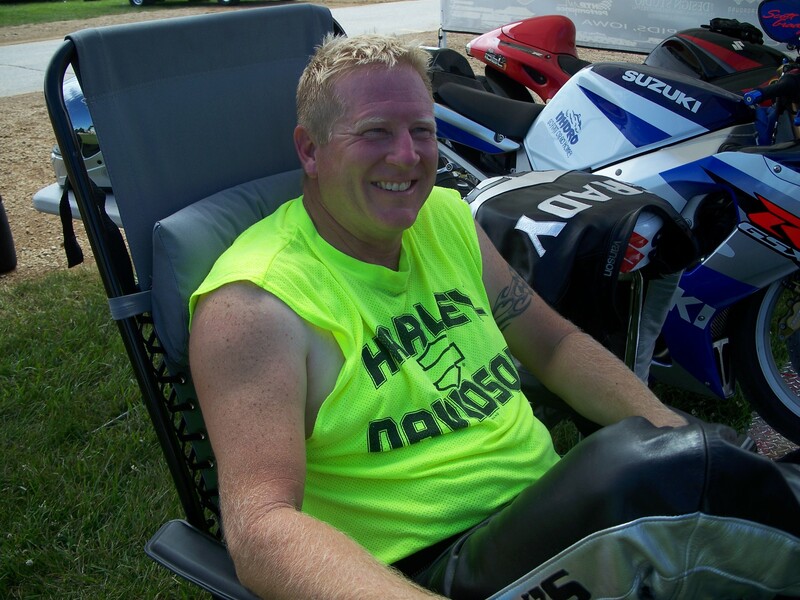 Grady’s satisfied motorcycle drag racing clients include Schnitz Racing, ManCup and many more. 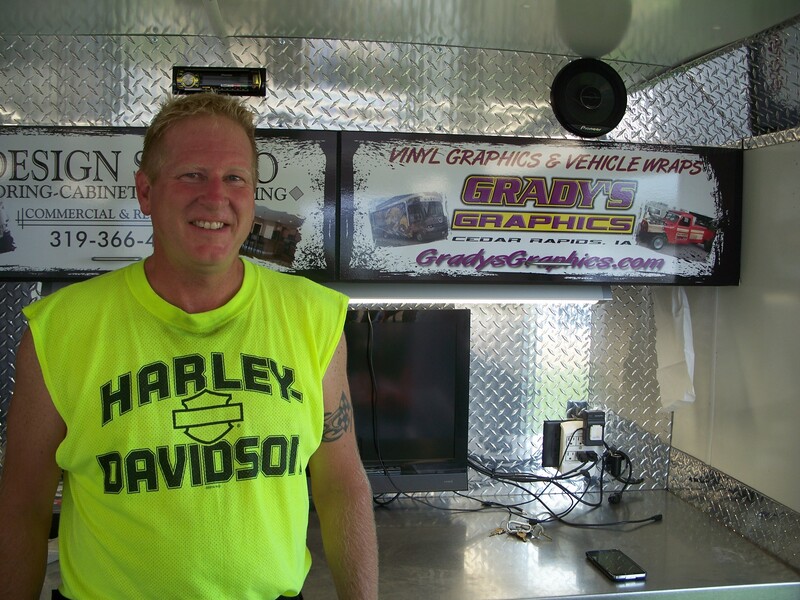 Grady has also worked closely with former IDBL president Jason Miller as a sponsor of last season’s Pro Street Battle Royale. Grady has only been racing for about four years but already as amassed an impressive resume of success. 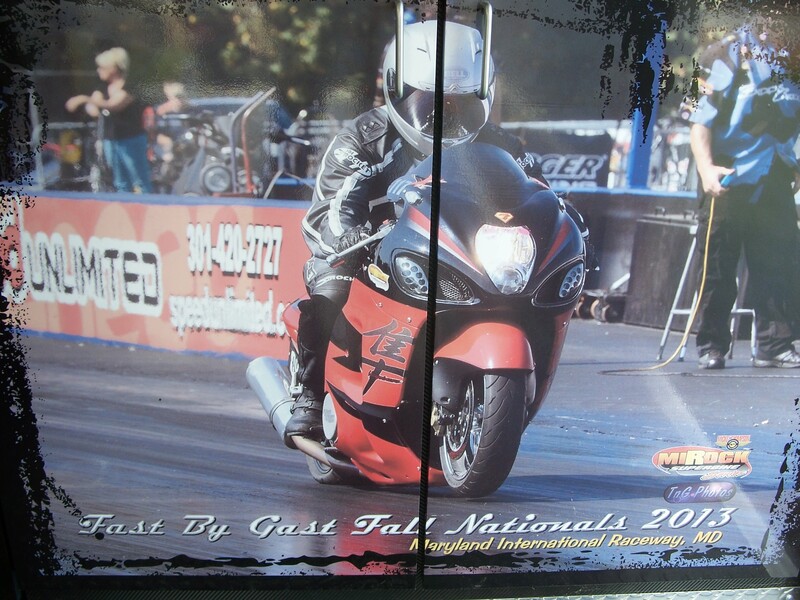 He runs two bikes out of his trailer, a Hayabusa and a GSXR 1000 and he is affiliated with a Pro Street entry. Grady competes in Street E.T., Crazy 8’s, Super Comp and 5.60. 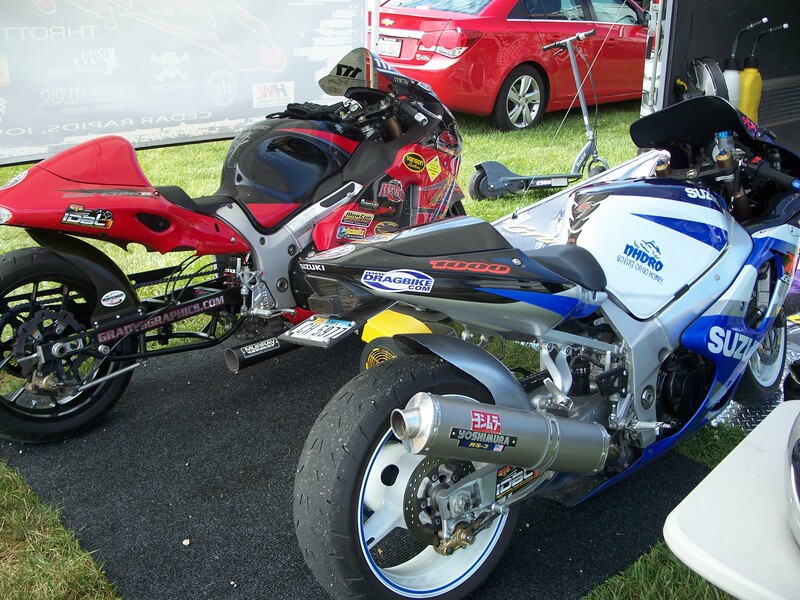 Scott Grady’s quartermile weapons – a Hayabusa and a GSXR 1000. Last season Grady won the Street E.T. track championship at Byron Dragway, in Byron, Illinois, about an hour-and-a-half from Chicago. He also was impressive at the final IDBL racer where he advanced to the Street E.T. quarterfinals in a near-128 bike field. Grady says another memorable race was one with no-bar standout Jeremy Teasley. “Lining up with those top dogs is pretty cool,” Grady said. 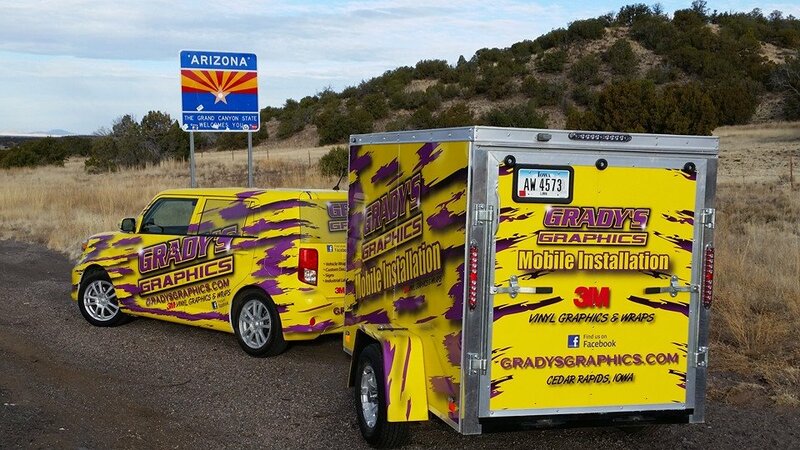 Grady’s Graphics also recently became a Portable Shade dealer. 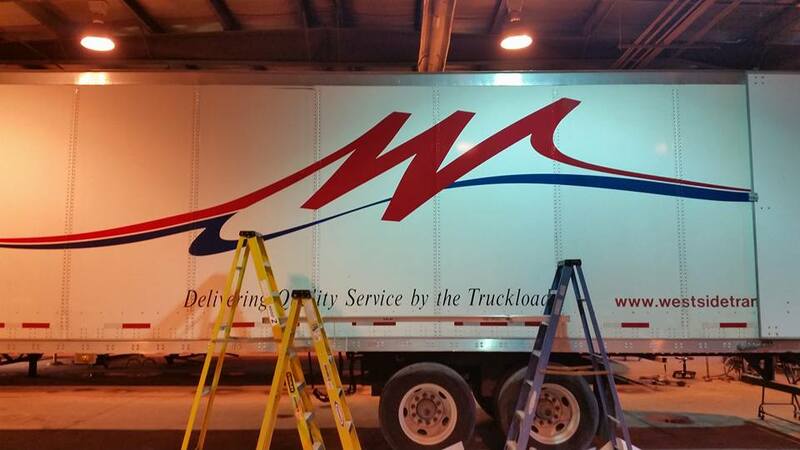 No job is too big or too small for Grady’s Graphics – from decals to semi lettering. Check out the Grady’s Graphics website here. Make sure to mention Cycledrag.com.